Humankind has always been intrigued by our origins and most of the work in palaeoanthropology points to Africa as the home of our species called Homo sapiens. Decades ago a vital piece of fossil evidence in the story of human evolution was delivered to the East London Museum. A human skull was donated to the museum in 1954 by Mr. Chris Hattingh. The skull was discovered along the banks of the Vlekpoort River near Hofmeyr. It carried all the features of an anatomically modern human being with some archaic features such as thicker arches above the brow, large molar crowns and a prominent glabella (the space between the eyebrows and the nose). Although the skull travelled to the University of the Witwatersrand to be studied it was never deemed to be of much significance as a specimen until well into the new millennium. At this time ideas of human origins were well developed such as the Out-of-Africa theory (that all modern humans in the world today originated from a population in Africa). There is very little fossil evidence between the years 20 000 – 70 000 ago supporting the Out-of-Africa theory, especially in sub-Saharan Africa. Most of the support is backed by genetic studies alluding to a population of Homo sapiens having left Africa 25 to 65 thousand years ago and differentiating into all the peoples on the planet today. When the Hofmeyr skull was finally put under scientific scrutiny and dated at 36 000 years it gave scientists the opportunity to compare it to other finds in the palaeoanthropological realm. In 2007 a scientific paper was published in the journal Science, which showed that the skull compared more favourably with skulls of Upper Palaeolithic peoples in Europe than that of humans in southern Africa. It is believed that Upper Palaeolithic peoples descended from a population that emigrated from sub-Saharan Africa in the late Pleistocene (40-60 000 yrs. ago). The Hofmeyr skull thus connects the origins of people in Europe to Africa – giving more credence to the Out-of-Africa theory. Modern techniques such as optically stimulated luminescence and uranium-series were used to date samples of matrix (mud) filling the endocranial cavity (inner part of the skull). The depositional age of the mud has been published at 36.2 +- 3.3 thousand years. The male Hofmeyr skull is fully adult as noted by heavily worn third molars and an obliterated coronal suture. 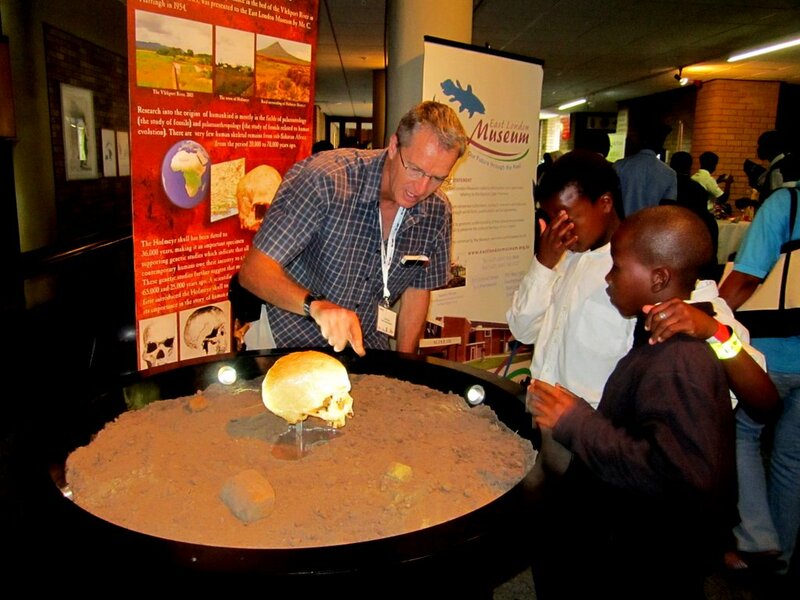 The skull had previously been studied at Wits University (1964) before being transferred to the Port Elizabeth Museum (Bayworld) and then on to the University of Cape Town and Stony Brook University (New York), before returning ‘home’ to East London in 2009. While in the USA three detailed casts were made for research purposes and display. A cast can be seen at the East London Museum and one is also on display at the prestigious ‘David H. Koch Hall of Human Origins’ at the Smithsonian National Museum of Natural History in the USA, one of the most comprehensive displays on human evolution in any museum in the world. 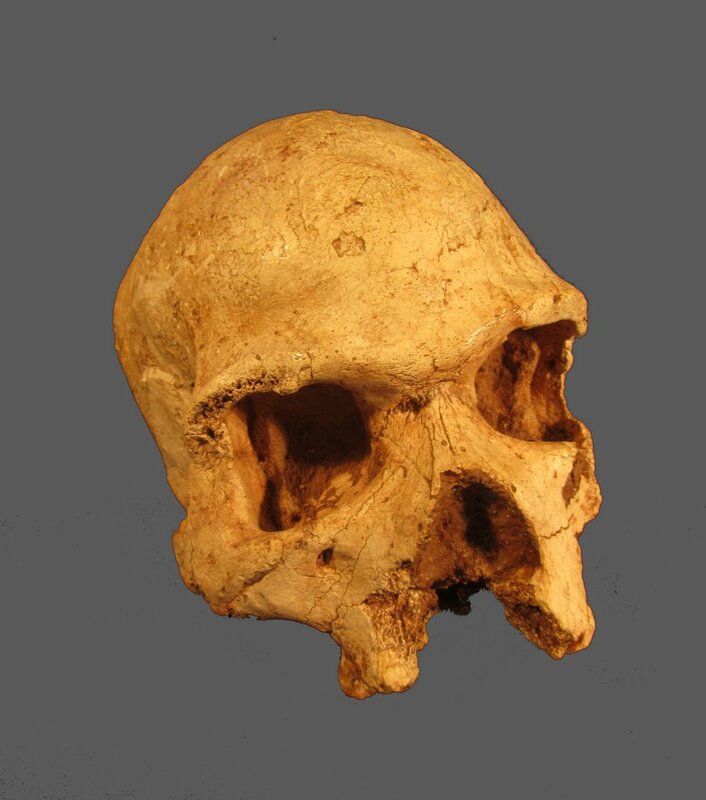 Research to date includes another published paper in the Journal of Human Evolution (2009) titled ‘Reconstruction of the late Pleistocene skull from Hofmeyr, South Africa’. There is great interest in the specimen worldwide and palaeoanthropologists consult museum scientist Kevin Cole annually with requests to view and work on the skull. It is a privilege for the East London Museum to curate a piece of the puzzle in the story of human origins and it is hoped that the Eastern Cape will still reveal many secrets to add to the story of life.